We now offer complimentary Valet Parking at our Urann Entrance (LOT A) on Sandwich Street for all patients and visitors. The service is provided by Valet Park of New England and operates Monday-Friday from 8:00 am to 4:30 pm. Take Exit 5 off of Route 3 and turn right at the bottom of the ramp. Take the first right onto Obery Street. 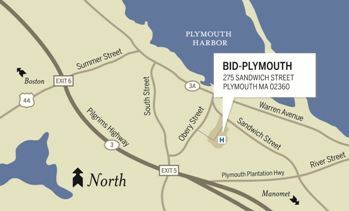 After passing the Registry of Deeds on your right, the Beth Israel Deaconess - Plymouth access road is the next right directly across from the entrance to Plymouth North High School. Parking in front of the main entrance is available. Follow Rte 44 East into Plymouth. Take Route 3 South Exit and go to Exit 5 (two exits), turn left at the light at the end of the ramp. Go under the Route 3 overpass to another set of lights, go straight through the light and take your first right onto Obery Street. After passing the Registry of Deeds on your right, the Beth Israel Deaconess - Plymouth access road is the next right directly across from the entrance to Plymouth North High School. Parking in front of the main entrance is available. If you need to go to the Sykes Memorial emergency department, pass the entrance to the parking lot, and turn left at the stop sign. The emergency department is on your left, just down the hill. 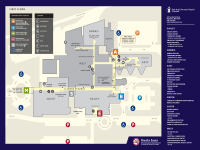 Parking is available in Lot C.
Most major events are held in the Funkhouser Conference Room in the lower level of the Bailey Building. When you arrive in the main atrium lobby, you are on the second floor. Take the elevator or center stairs to the first floor. If you take the elevator take two lefts into the main corridor. If you take the stairs, turn right at the bottom of them into the main corridor. Follow the main corridor past the cancer center. The elevator is on your left, across from the emergency department. Take the elevator to the lower level, and Funkhouser A is directly in front of you, just past the restrooms. To get to Funkhouser B, turn left at the entrance to Funkhouser A and an immediate right, Funk B entrance is on your right. To get to the Boynton, turn left at the entrance to Funkhouser A and an immediate right. The Boynton is on your left. For the Sgarzi, continue past the Boynton conference room. The Sgarzi conference room is straight ahead at the end of the hall.